Roof pipe penetration requires a special kind of expertise. Alta Products, LLC works with architects and building contractors to ensure the quality and durability of roof penetration systems. Roof penetration does not have to be a “necessary evil,” as many building owners perceive it to be. 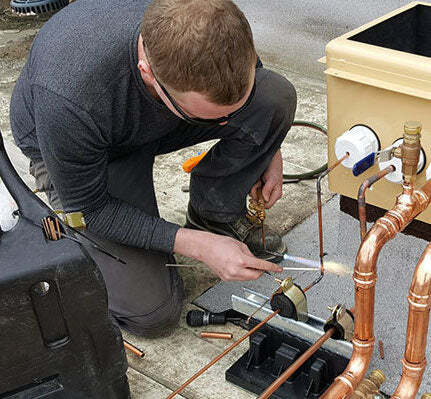 With the right products and installers, running pipes through the roof doesn’t have to mean harmful leaks in bad weather. It can mean a safe, watertight system that provides many benefits to the building owner. Alta Products, LLC is your source for trustworthy roof penetration products. Well-designed roof pipe penetration will have the same stability and security as penetrations done during the construction of the building. Air vents, skylights, chimneys – no one questions the integrity of these roof penetrations, because they typically don’t give way to leaks. Post-construction roof penetrations, on the other hand, have a negative connotation, thanks to poor-quality materials and subpar installations. You can turn this around by entrusting Alta Products, LLC with your next job. See what we can offer contractors. The building professionals we’ve supplied our products to know they can trust us for consistent high quality and flawless customer support. That’s why they come to us again and again for roof pipe penetration projects. Our patented Sigrist Exit Seals®, Pipe Chase Housings, and Curbs offer everything the industry needs in roof penetration, from part warranties to satisfaction guarantees. Plus, we keep our inventory stocked with products for fast order fulfillment and shipment around the country. We are truly a one-stop shop in terms of roof penetration product manufacturers. Commercial buildings rely on the integrity of their roofing systems. Imagine, for example, the immense damage one bad storm could cause a data center with a leaky or sagging roof. Wet equipment can lead to power outages, permanent damage, and even the risk of having to close the doors forever. Unsafe practices like “securing” roof pipe penetration with cinderblocks can put too much weight on a roof, leading to collapses or other disasters. In an industry where so much can go wrong, you need to trust the very best product manufacturers on the market. Since 2006, Alta Products, LLC has shown the world what high-quality roof penetration products look like. We have sold more than 1,000 Pipe Chase Housings and Curbs, and almost 20,000 Sigrist Exit Seals® – all without a single warranty request or equipment failure. If this isn’t proof of our manufacturing excellence, nothing is. Passing lines and pipes through a commercial roof has never been easier or safer than with Alta Products, LLC. Read our testimonials to see what our customers are saying. Put the number one fear people have about roof penetration to rest with help from our exceptional manufacturers. Confidently feed pipes, wires, and other conduits through any type of roof without fear of leaks. Help your clients see that roof penetration does not have to mean leaks or safety risks. It can mean a smart, innovative roofing system with the ability to securely hold many pieces of equipment. For more information about roof pipe penetration systems through Alta Products, LLC, call (206) 409-1237.